Cosmic Dancer (Morrissey and Bowie, live, 1991). I Know It’s Gonna Happen Someday (Morrissey). I Know It’s Gonna Happen Someday (Morrissey, live, 1992). I Know It’s Gonna Happen Someday (Bowie). I Know It’s Gonna Happen Someday (Morrissey, live, 2005). The Last of the International Playboys are Bowie, Bolan, Devoto and me. Do you see similarities between yourself and Bowie? What, the living Bowie or the present dead one? The living Bowie, there are some, yes. Yes, I do see similarities. Morrissey, NME interview, February 1989. Morrissey is what would have happened if Bertie Wooster and David Bowie had a son. Ken Tucker, “Alternative Scenes: Britain,” The Rolling Stone Illustrated History of Rock ‘n’ Roll, 1993. In the autumn of 1980, Steven Morrissey began exchanging letters with a fellow music enthusiast, a Scot named Robert Mackie. The 21-year-old Morrissey was holed up in his room in Manchester, reading, obsessing over Ealing comedies, Sandie Shaw records and Joan Crawford films, writing letters to the music press. In his letters to Mackie, Morrissey rubbished the former’s musical tastes (Kate Bush is “unbearable,” “all electronic music is a sad accident”) and rebuked him for never having seen David Bowie live. (He conceded that Mackie owned far more Bowie albums, but anyone could buy a record.) Granting Bowie the capitalized pronoun once reserved for gods and kings, Morrissey noted that he’d seen “Him” perform 14 times between 1972 and 1976 alone. A decade later, Morrissey met Bowie for the first time in Manchester, backstage at a “Sound + Vision” show in August 1990. By that time, of course, Morrissey had founded and disbanded a group that had played the same role for disaffected Eighties teenagers as Bowie had for Morrissey, and he was becoming a pop star on his own, with four UK top 10 hits. And one night in June 1991, as Morrissey was playing the Inglewood Forum in Los Angeles, Bowie came on stage to sing T. Rex’s “Cosmic Dancer” with him. The crowd went fanatic: you can barely hear Bowie and Morrissey above the din in recordings. It seemed that Bowie was anointing Morrissey as heir presumptive of glam, using a Marc Bolan song as coronation hymn. The succession continued in 1993, when Bowie covered a Morrissey song on Black Tie White Noise, with, again, another glam legend roped into the proceedings. Bowie sang “I Know It’s Gonna Happen Someday,” a song originally produced and arranged by Mick Ronson. There was sly dig in Bowie’s song choice, as “I Know It’s Gonna Happen Someday” was, in his view, Morrissey’s attempt at a Ziggy Stardust-era belter; in particular, “Rock ‘n’ Roll Suicide,” whose coda saxophone arrangement Morrissey might as well have sampled. “It occurred to me that he was spoofing one of my earlier songs, and I thought, I’m not going to let him get away with that,” Bowie later said. Bowie repaid the favor by singing “Someday” in a pitch of sustained grandiosity. He said he wanted to do “Someday” as though he was performing it on the Diamond Dogs tour in 1974: decadent, fervent, unhinged, slick (Brett Anderson rightly noted that Bowie was channeling Johnnie Ray again). However, the resulting track lacked the spirit of camp, the bite of parody. It was leaden and forced, its centerpiece a dull guitar solo by Wild T. Springer and its mix accorded great glops of overbearing chorus vocals and horns. Bowie’s vocal didn’t measure up to his intended latter-day Ziggy Stardust: you could hear him strain sometimes, with his vocal fills before the closing “wait, don’t lose faith” especially gruesome. Slowing the song down to a thudding 4/4 instead of the whirling 12/8 of the Morrissey original only served to spotlight the track’s shortcomings. Bowie intended “Someday” to be high camp, a silly goose of a silly song (in his video, Bowie holds a cigarette lighter aloft and solemnly sways his arms during the guitar solo), and as such it was a cynical misreading. Morrissey’s track begins and closes with long stretches of static and drifting pieces of radio flotsam, with the song proper suddenly appearing over a minute in, briefly shimmering into range and then fading into the void again, as though it was a broadcast sent from behind enemy lines. Its tone is wholly sincere, its message one of constancy and commitment, a pledge to adolescents of any age that they will somehow get through it (it seemed Morrissey’s take on “You’ll Never Walk Alone” as much as it was a Bowie tribute). Like the young Bowie, Morrissey had been a professional fan before he was a star, and his work was one long negotiation with and tribute to his fans. 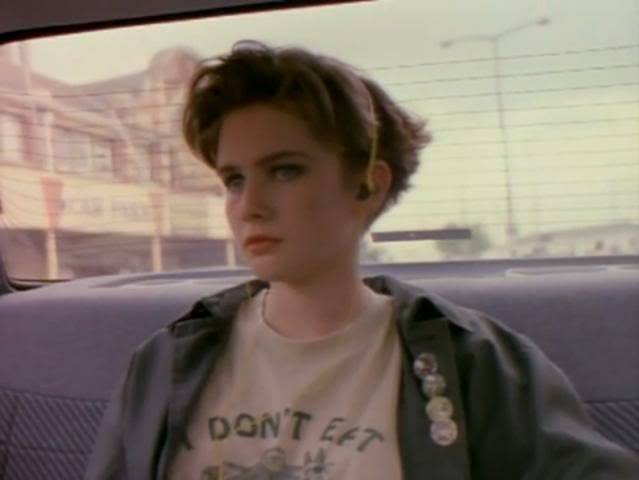 At the end of the “Everyday Is Like Sunday” video, the mousy-haired anomic heroine finds Morrissey through her spyglass and sees that he’s wearing her face on his T-shirt: she’s his idol as much as he’s hers. If “Someday” was absurd, as Bowie seemingly thought it was, it was because pop music itself, the promises it made and the beliefs it offered, was absurd. Morrissey said he loved Bowie’s cover, and for a time the two kept up their mutual admiration society. 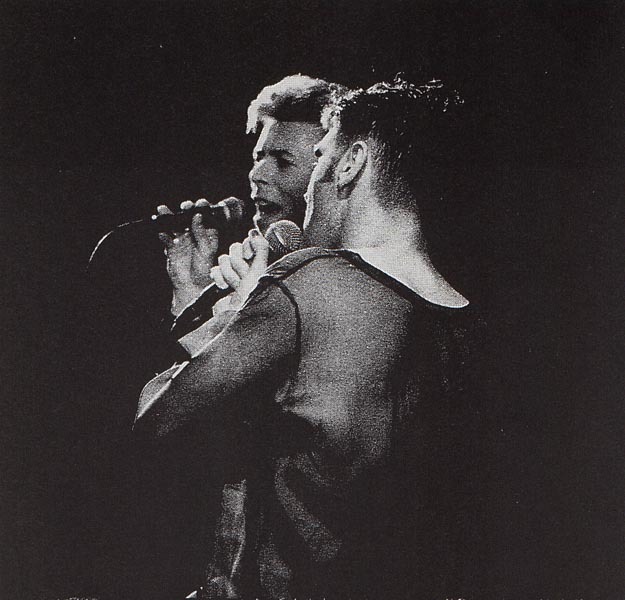 This culminated in late 1995, when Bowie asked Morrissey to open for him on a round of UK and European dates. From the start there was tension, from the publicity materials (which touted Morrissey as a “very special guest” but only featured Bowie’s photograph) to sound check times. Morrissey occasionally opened sets with “Good evening, we are your support group” and contended with hecklers: critics found his performances both enervated and desperate-seeming. The Morrissey fans (“a crowd, that is, of precisely 11 rows deep and 20 seats across,” Melody Maker‘s Jennifer Nine sharply noted) would typically pack off as Bowie’s set began, and it didn’t help the atmosphere in the stands that Bowie was playing few old hits and intended to assault audiences with his new industrial-inspired music (as we’ll see in early 2013). It was an ugly end to what had once seemed a graceful dialogue between generations, a volley between fans and former fans and idols. But perhaps the root of the break lies back in Bowie’s grotesque, vain interpretation of Morrissey’s song. The two reportedly never spoke again. 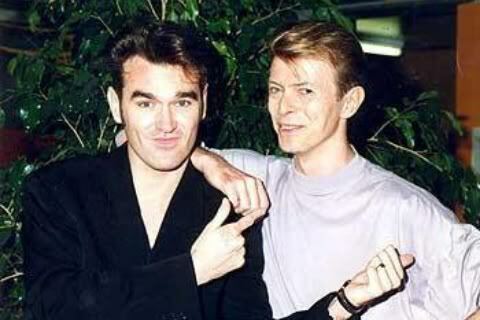 While Morrissey seems to have made some sort of peace with Bowie, at least as a “living” memory, as he covered “Drive-In Saturday” on stage in 2000 and 2007, some recent snarky tweets by Duncan Jones suggest there may still be some sharp feelings on the Bowie side of the fence. Recorded ca. summer-fall 1992, Mountain Studios, Montreux and Power Station NYC. Released in April 1993 on Black Tie White Noise. Top: Les deux dames, in happier days, ca. 1991; Lucette Henderson, moody teenage dream girl and star of M’s “Sunday” video, 1989.